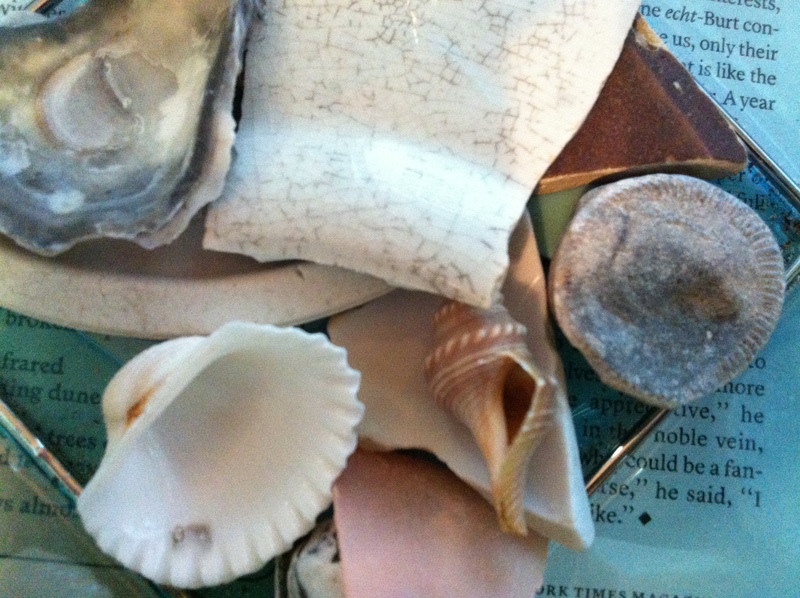 Shells, fossils, and china chits with their own submerged existence. I’m hard pressed to explain why it is that I find such relics of the past so fascinating, but I do. Even when I’ve spent days meandering along lakeshores in Pennsylvania or scrounging around the edges of strip mines in Tennessee, I have always been moved by the bits of water-worn china and glass and by the fossils of creatures long gone. Whether it was a family trip to Chucalissa, a hike through the abandoned homesteads of Cataloochee, or a school trip to Ft. Loudon, I always marveled at the lives people had once led, at how things had changed and how they had stayed the same. Today, I think one of the things that I appreciate about the recovery of these lost objects in Poland is the way they tell the story of things that existed without public fanfare for so long. They existed just as much at the bottom of the river for the past 350-plus years as they do now that they are at the surface. One of my colleagues, Pat Rushin, this week also greeted the news that one of his screenplays, The Zero Theorem, is in pre-production with Terry Gilliam (who also directed the recently discussed Brazil). In a sense, this is another hidden treasure finally rising to the surface. This screenplay was written years ago, and was once previously slated for production, and I like thinking about how it had value all the years that it waited for its current attention, and how it will go on having that value long after it is made as a film and does or doesn’t fade from view. As artists, we have to believe in our work no matter how much attention it gets in any given moment. And we shouldn’t let attention that we (or others) may get as determinative of our value, even though that is the only measure that is clear and too often, unfortunately, the only measure by which we are judged. The knowledge does not diminish my happiness for Pat’s success, but I try to remember that time hides beauties, time reveals treasures. They exist either way. Posted in Culture & Arts, Politics & Current Events, TV & Movies, Visual Arts, Writing and tagged 17th century treasures, Chattaloochee, Chucalissa, Ft. Loudon, Pat Rushin, Poland, PRI's The World, Terry Gilliam, The Zero Theorem, Vistula. Bookmark the permalink.